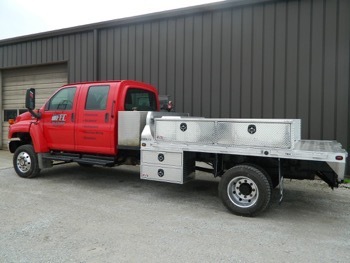 The TB-Series is our all-steel truck bed. 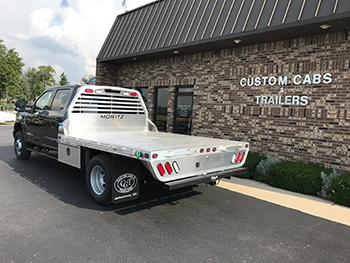 Standard features include steel tube headache rack with lights, recessed gooseneck plate deck and 4" formed channel cross members. 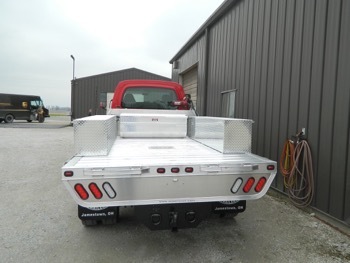 Options include a taller headache rack and wire adapters for Ford, GM and Dodge trucks. 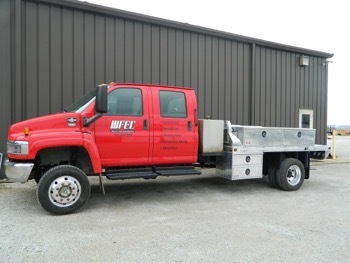 Main Rails: 3" Channel Main Rails; Adjustable from 32" to 42"
Main Rails: 5" Formed Main Rails: Adjustable from 34" to 42"
Our truck bed installation consist of side plating the sub-frame of truck bed to the frame of truck (side plates are painted), mud flaps front and rear of rear tires and bringing gas spout(s) out to the side rail of truck bed. 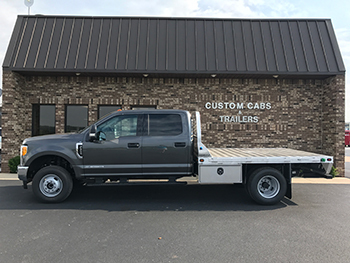 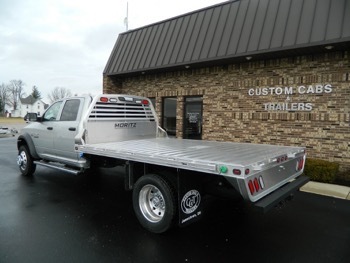 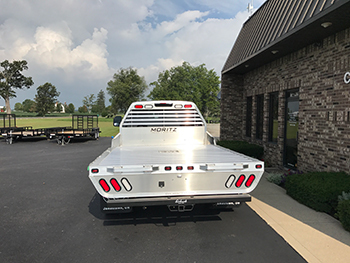 Toolbox, bumper and electrical (trailer plug) installation also available.